Landlords seeking to regain possession of their property using the no-fault route need to be aware of important legislative changes that came into effect on 1 October 2015. These changes relate to any new tenancies started on or after that date. The changes effect the process a landlord must follow if they wish to regain possession of their property using a notice of seeking possession under Section 21 of the Housing Act 1988 (as amended). A copy of the MHCLG (Ministry of Housing, Communities and Local Government) booklet 'How to rent – A guide for current and prospective tenants in the private rented sector in England'. Yes, even failing to provide a tenant with this MHCLG booklet could invalidate the Section 21 possession process and so it it’s vital to get this right. The regulations point out that the MHCLG booklet may be subject to change over time and the landlord must provide a copy of the current version in place at that time. A new version of the booklet was published on 26 June 2018 and you can download a copy from the gov.uk website. You will find the previous versions available to download at the bottom of this page. A word of caution. The cover of the latest ‘How to Rent’ booklet is almost identical to the new ‘How to Rent a Safer Home’ booklet and it is also undated. It is vital to make sure you issue the right booklet! We would suggest that the landlord retains copies of the documents provided and also asks the tenant to sign to confirm receipt. Otherwise, there will be no audit trail to prove compliance. The regulations state that the MHCLG booklet must be provided in hard copy. 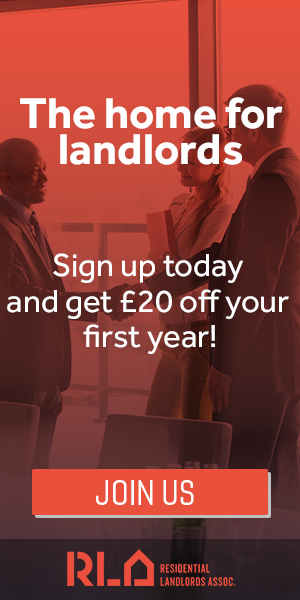 The landlord can only email the tenant a copy of the booklet if they have notified the landlord, or a person acting on their behalf, of an email address at which they are content to accept service of notices and other documents given under or in connection with the tenancy. That’s what the regulations say. We would suggest you do not send the tenant a web-link to the document on the gov.uk website as this method of provision is not specified in the regulations and so it may be ruled invalid. A landlord is unable to use a Section 21 notice of seeking possession unless they have complied with tenancy deposit protection legislation and given the tenant the prescribed information about how their deposit has been secured. A landlord is also unable to use a Section 21 notice of seeking possession if they are renting out a property that needs to be licensed by the council but is unlicensed. If your property is in London, you can find full information on all the mandatory HMO, additional and selective licensing schemes by clicking on the ‘Select borough’ link at the top of this page. If your rented property is outside London, you will need to check with the local council as we don’t cover your area. Prior to 1 October 2015, there was no prescribed format for a section 21 notice of seeking possession. For all tenancies started on or after 1 October 2015, the landlord must now use the correct prescribed form. This is where is gets even more complicated. On 7 September 2015, the government made new regulations (SI 1646/2015) that prescribed the new form to be used from 1 October 2015. However, various experts in the property industry noticed drafting errors in the new prescribed form. As a result, on 27 September 2015 the government made further regulations (SI 1725/2015) that introduced an amended version of the form. You can view the regulations here. The government have published the new prescribed 21 notice as an editable PDF document that you can download from the gov.uk website. Follow the link and you will also find guidance notes to accompany the new Form 6A. It is more important than ever that landlords maintain their properties in good repair as the sanctions for letting out poor quality and unsafe homes are becoming more stringent. Further changes have been brought in under section 33 of the Deregulation Act 2015. From 1 October 2015, if the council serves a Housing Act 2004 Improvement Notice or Emergency Remedial Act notice on the landlord, then they will be unable to serve a Section 21 notice of seeking possession within six months of the council’s notice being served. These notices can be served by the council for category 1 or 2 hazards under the housing health and safety rating system (HHSRS). If you want to find out more about the HHSRS, we have provided further information here. It is worth pointing out that most councils charge the landlord a fee for serving an Improvement Notice and so that is another reason to make sure the property is maintained in good and safe condition. While many councils previously charged around £300, some now charge a much higher sum. (e) if the section 21 notice was not given before the tenant’s complaint to the council, it was given before the service of the Housing Act 2004 notice. You might need to read this section a few times before it all makes sense. In summary, landlords need to make sure they respond promptly to all tenant complaints. Remember that the response to the complaint should be sent in writing within 14 days and it is important to retain copies of all correspondence. Under section 36 of the Deregulation Act 2015, a Section 21 notice of seeking possession cannot be served within 4 months of the start of a new tenancy. You should refer back to the legislation to find out more. The legislation also sets down maximum time limits for starting possession action once a Section 21 notice has been served. 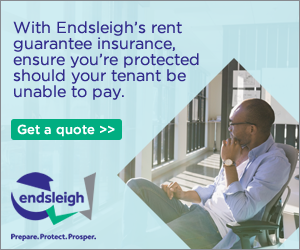 You can read the Assured Shorthold Tenancy Notices and Prescribed Requirements (England) Regulations 2015 here. You can read the Deregulation Act 2015 here. You can read the government guidance on retaliatory eviction and the Deregulation Act 2015 here. Please note that this information is only intended as a basic overview of the legislative changes that took place on 1 October 2015. This is a complex area of law and we would strongly recommend that landlords seek independent specialist advice to ensure that they follow the process correctly. You can find various legal advisors listed in our Landlord Suppliers Directory (here).You may also wish to refer to our disclaimer in the footer below. Each edition of the How to Rent booklet is listed below - make sure you issue the right version and can sign up our free newsletter to keep up to date on all the latest developments.